It's quite some years ago that over a dinner with colleagues I promoted starting a Ray Davies Appreciation Society when discussing the then still rather new WoNo Magazine that had been started within our erstwhile employer called OPTA. Some years before Davies released his two albums in the 00s, which of course got their rightful attention. Except for the choir record, deep silence since 2007 from the Ray Davies front. Now I am for years of mind that the work of The Kinks is highly unappreciated. Their work in the 60s is of the highest quality and musically is only outshone by The Beatles. The Stones can't even stand in the shadow of several of The Kinks' singles musically. The impact is another matter. In the 70s and the 80s the band had several highlights, for me 'Schoolboys In Disgrace' remains one of the finest albums made in that era. The Kinks' twist on U.S. arena rock also had its moments with 'Low Budget' and 'Give The People What They Want'. 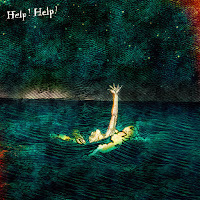 After 'State of Confusion', that fine hybrid of an album, things slowly slid towards mediocrity, seemingly uninspired. Like most 60s heroes sounded in the 80s. With 'To The Bone' The Kinks went out in a grand fashion in 1996. 'Other People's Lives' and 'Workingman's Cafe' were two fine albums in which Ray Davies showed the world that he hadn't lost his touch nor his keen, observing pen and came up with some fine tunes. And then silence. Until this April in 2017. Here's Americana, which, with a word that is carefully avoided these days, can rightly be called a rockopera. Davies presents us with a full story like he did on several albums from 1968 onwards, starting with 'The Village Green Appreciation Society'. With Americana Ray Davies seems to have taken a step backwards. Gone is the forced way he seemed to wanted to convince the world how good he is. A sort of resignation seems to be in place, making him sound so much more relaxed and strong. The music on Americana is totally familiar in sound, in its warmth. The U.S. influence is abundant. He brought The Jayhawks to the Konk Studios in London, for most of the album his backing band. Whether that is the single cause of the consistent style and sound of Americana is unprovable, fact is that the album is. Where Americana totally succeeds, is the way Davies' U.K. background blends with the music of his American Dream. His typical The Kinks songs, the softer ballad ones that is, mix with country and blues elements to a solid pop mix. (Reminding me how well Ron Sexsmith emulated this sound on his previous album 'Caroussel One'.) The pop element in several songs reaches such a high level, that it is possible to overlook how good the songs are. Take 'Poetry'. The song has a mid-60s Dylan flavour to it, but is free-flowing in a way it could never be a Dylan song. Nothing here is just a rehearsal recorded. All is totally mapped out, under full control before being recorded. Ray Davies' voice may sound older, he is approaching his mid-70s, it still fits his music like a glove. The song is a mild rocker, the lyrics a long story on 21st century life, reflecting on his song of that title, but asking where has the poetry gone? His observational skills as apt as on 'Dead End Street' or 'Art Lover'. I understand that a book called 'Americana' is at the basis of the album. Stories about his fascination for America. Having read 'Return To Waterloo', makes me sorry to have missed it. Ray Davies is a fine author as well. Something on my list to read. The stories were translated into songs. We hear how he "and his kid brother", who turned 70 this year, went to the States for the first time and certainly hear how the music influenced him through the years. E.g. in the song sung by Karen Grotberg, 'A Place In Your Heart, with one city after the other mentioned along the long roads of the U.S. (a theme returning in the rocker 'The Great Highway'). A song that turns out to be a duet. Again musically so strong that tingles go down my spine. The quality of Americana really became clear to me when I was alone with the album for the first time. On my headphone not only the quality showed more in all the details that truly presented themselves. It was the nuances of the album that shone so hard and the depth of the details laid into the songs. I realised how much more dynamics the album held than I thought from just listening. The way 'The Mystery Room' rocks became so much more apparent. The contrast with the acoustic guitar and the spoken word about his conversation with Alex Chilton came through to me so much more. As did the fine pop of 'Rock 'n' Roll Cowboys'. Just listen how the piano comes in. I simply melted. 'You Really Got Me', that proto punk and hardrock first hit of The Kinks returns as an acoustic riff introducing another story, turned song. A country song to that. Ray Davies surprised the whole of the time. By then I knew that what I'd read so far on the album was true. This is Ray Davies' best and best-balanced solo album to date. I'd go a little further. Americana is one of his best works overall. The compassion, the warmth and understanding coming from this album presents the listeners with a man not only resigned to his age but in total comfort with who he is and has been in the past. A man able to write his best work without having to be in competition with his past self, which certainly live he seemed to be in the 00s. Forced and to obviously longing for recognition. Whatever others may think of this album, my recognition is presented here. Total and in full. The Ray Davies Appreciation Society is up and running, full-strength. Were recently two obituaries on Chuck Berry published on this blog, following his death in March, because of it I found out that he was in the process of releasing a new record, 'Chuck'. His demise at the age of 90 came just too soon to see the release. The first song of 'Chuck' is online. You can find it on Spotify and with an accompanying story here, http://www.newyorker.com/culture/culture-desk/listen-to-a-new-chuck-berry-song, on the website of the New Yorker with a small story to go. The main solo is played by Gary Clarke Jr. who tosses in some fine Chuck Berry licks. No, I was not born when Chuck had his greatest hits and released his most famous songs. I even have to admit that I haven't heard one of his albums. Just the famous songs, and on a horribly bad sounding compilation cd at that, with for 50% bad sounding live recordings of unclear origins. Until Spotify came along. That may be about to change. 'Wonderful Woman' is a vintage Chuck Berry song, with some fine licks. Incredibly fresh in sound despite sounding so familiar. It seems like Chuck Berry will release a fine goodbye album, adding to his legacy, which already is unmeasurable. Without Berry the musical face of the world would have been very different. It is 2017, the world is getting ready for a new Chuck Berry album. Unbelievable as that may sound. 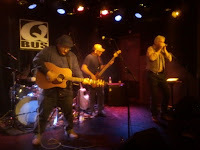 De Amerikaanse band Frontier Ruckus imponeerde net iets meer dan twee jaar geleden met Sitcom Afterlife, overigens al de vierde plaat van de band uit East Lansing, Michigan. Het was een plaat die niet alleen een brug sloeg tussen Amerikaanse alt-country en Britse indiepop, maar het was bovendien een plaat vol popsongs waarvan je alleen maar zielsveel kon houden. Sitcom Afterlife haalde dan ook terecht mijn jaarlijstje over 2014, maar werd in de maanden die volgden alleen maar leuker en onmisbaarder. Met Enter The Kingdom herhaalt Frontier Ruckus het kunstje van zijn voorganger, maar laat de band uit Michigan ook op alle terreinen groei horen. 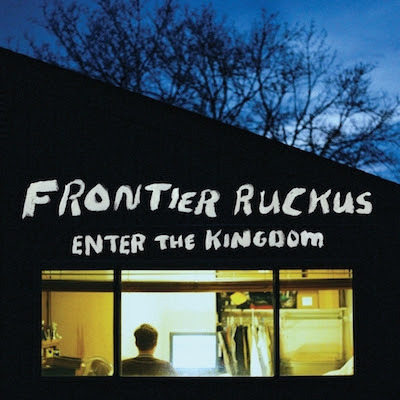 Invloeden uit de Amerikaanse rootsmuziek en met name de alt-country vormen nog altijd de basis van de muziek van Frontier Ruckus, maar de band sleept er vervolgens zoveel andere ingrediënten bij, dat ook Enter The Kingdom zich met geen mogelijkheid laat vergelijken met de gemiddelde Amerikaanse rootsplaat. Ook bij beluistering van Enter The Kingdom haal ik het vergelijkingsmateriaal uiteindelijk vooral uit de Britse popmuziek. 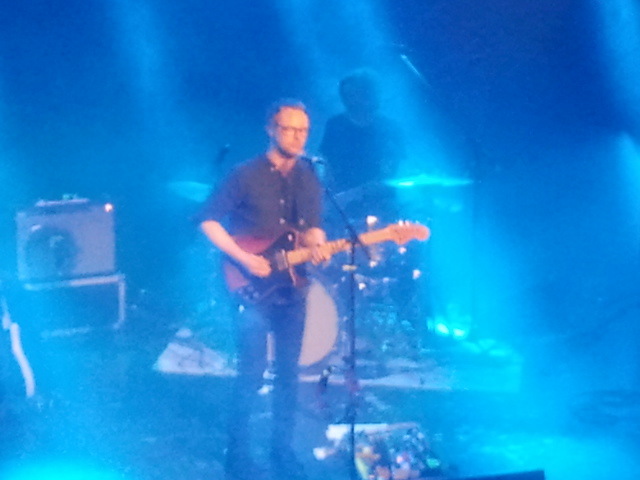 Invloeden van uiteenlopende bands als The Housemartins, Belle & Sebastian, Lloyd Cole & The Commotions, Aztec Camera en Prefab Sprout zijn nadrukkelijk hoorbaar in de songs van Frontier Ruckus, maar als je goed gaat luisteren hoor je toch ook de onderlaag die een breed palet van de Amerikaanse rootsmuziek bestrijkt. 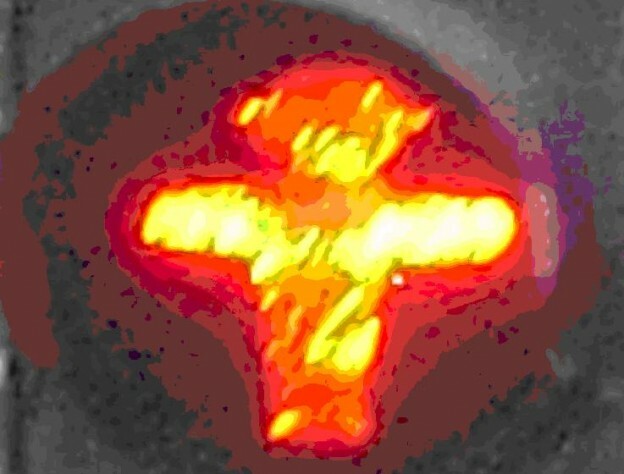 Net als de genoemde Britse bands heeft Frontier Ruckus een voorkeur voor honingzoete popsongs en het zijn popsongs vol zonnestralen. De instrumentatie op de plaat is vaak uitbundig en past prachtig bij de bijzondere stem van Matthew Milia, die geregeld wordt ondersteund door een mooie vrouwenstem. Het is overigens een instrumentatie die het verdient om volledig uitgeplozen te worden. Dan pas hoor je hoe mooi de banjo, de pedal steel en andere instrumenten die zo belangrijk zijn in de Amerikaanse rootsmuziek prachtig samensmelten met de soms uitbundig ingezette strijkers of met heerlijk klagende orgeltjes. Frontier Ruckus klinkt op haar nieuwe plaat vaak uitbundig en zonnig, maar donkere wolken liggen altijd op de loer. Matthew Milia verschuilt zich overigens lang niet altijd achter een stevig aangezet instrumentarium, want de plaat bevat ook een aantal zeer ingetogen songs en ook hierin maakt de band indruk. Net als Sitcom Afterlife is Enter The Kingdom een plaat die opvalt door een bijzondere combinatie van invloeden en een al even bijzonder instrumentarium, maar imponeert door fantastische songs. Ook de songs op Enter The Kingdom waren me na één keer horen dierbaar, maar worden alleen maar beter en onweerstaanbaarder. Ook de nieuwe plaat van Frontier Ruckus is weer goed voor een brede glimlach die 11 songs en 36 minuten aanhoudt en hierna wil je alleen maar meer. Veel en veel meer. Wederom een jaarlijstjes plaat van deze unieke band. "The best hot water ever"
Gunther Brown? Now what kind of a name is that? Bernie Gunther o.k., for those familiar with the Philip Kerr character. Gunther Brown is a band from that other Portland, in Maine. Clamchowder territory, fishing on the rough coast of Maine. That sort of thing and a band playing roots music of a rather refined sort. Thanks to Erwin Zijleman, our blog's expert in things roots, I had heard the name before and most likely took a listen on Spotify at the time. When I read the band had come over to this country for the first time and was playing in one of my favourite places to see bands, I knew where I was going this Sunday evening. Unfortunately for Gunther Brown only about 19 other people were so inclined. In a city of 110.000 + inhabitants and I'm not living there any more. 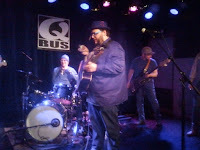 The other 200 something that fit into the Q-Bus missed a fine show. Five man on stage. The kind that could be your neighbour and in different age groups as well. Caps and hats in abundant supply. 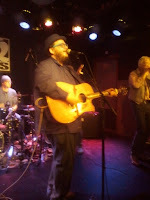 In the very first song, don't ask for songtitles as I did not know a single one before the show, things sounded so fine. The band rocked, the drummer incorporated a cowbell in an innovative way during his drumming. The bass player was one of those extremely solid ones, who in the meantime produces some fine melodies here and there and a lead guitarist who did not play one note beyond what a song takes. Of that notes every single one was the truth and nothing but the truth. The second acoustic guitarist from the second song onwards proved to be an harmonica player, spiking some songs and soothing others. On top of all that the singer laid his melodies with a fine sounding voice, with this rough edge, giving this sort of music the right kind of authenticity, joined in harmony by one or two others together or alternating singing duties. We heard country ballads, rocking songs, a square dance tune about Jesus and the devil and everything in between. The fun part or at times the surprising part were the intermezzos within some songs. One song even went into a Pink Floyd like progrock sequence, before returning once again to rootsy music. Other songs held stranger rhythm changes as an interlude. Playing with the audience just a little and test them. The cover of Neil Young's 'Old Man' showed where the love for this music all started for the members of Gunther Brown. The real surprise was, that 'Old Man' was familiar but not a lot better than most other songs. If there is a difference it lies in the licks on the lead guitar. The evening was over before I knew it. 20 people in front of you must be a disappointment if you come from such a long way. On the other hand I had the impression that they won over 18 of that 20. The other two sat at the bar and left early. After the show I met singer-guitarist Pete and we discussed the world in 20 odd minutes. Times could be just this little less interesting, we both agreed on. Gunther Brown should not be though. No, I haven't heard anything new yesterday, but what I heard was played so well, with enthusiasm and the songs are so refreshingly good, that newness is totally beside the point. Gunther Brown is a great addition to my roots collection. Chantal Acda so far was just a name to me. One of those names in music that comes by every once in a while, yet I can't remember ever having heard her music before. For one reason or another I associate the name with jazz and that usually does not trigger me to start listening. Another association was Thomas Acda and that isn't my cup of tea either. With her new album Bounce Back that all changed. Look at the cover. I see a horse, face turned away from me on a patch of land with nothing but fog behind it. Clear, yet full of mystery or better the unknown. Anything could be behind that horse, including danger or just plain nothing. Who can tell? 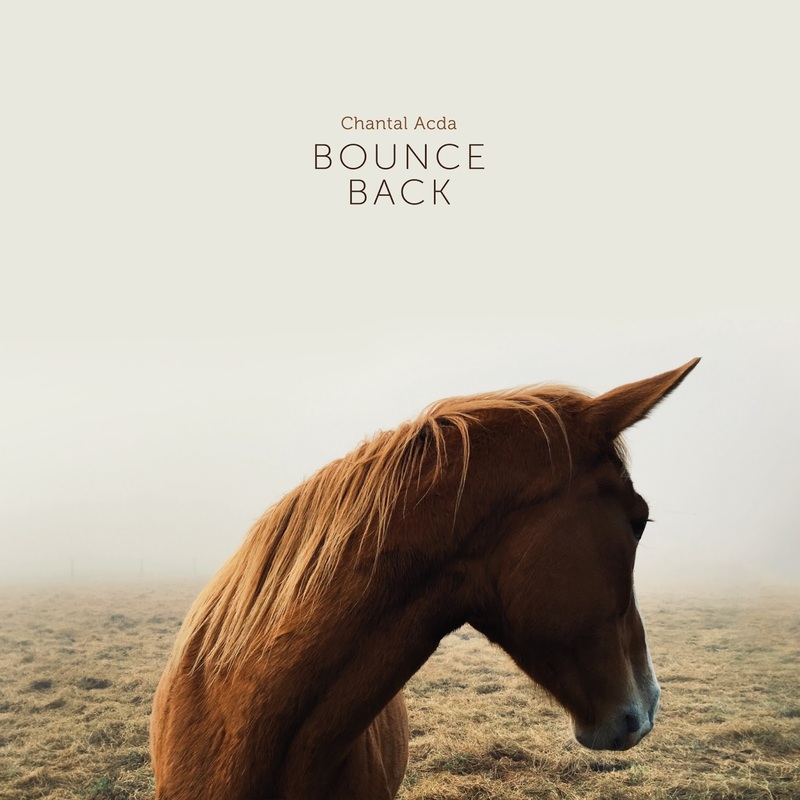 It's a bit the same with the music of Chantal Acda on Bounce Back. Several songs have this kind of mystery surrounding them. Not all is clear on the album. I wrote this part before reading the bio accompanying Bounce Back. 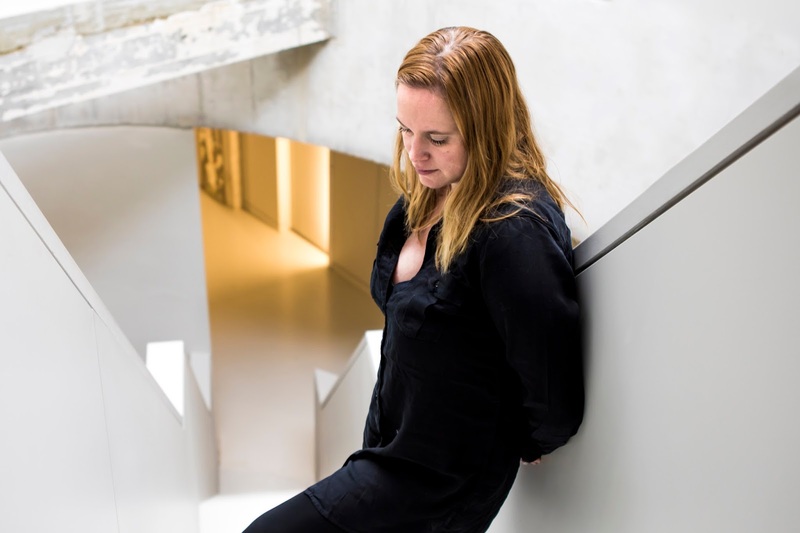 Chantal Acda tells about the disassociation that comes with social media. Do people really connect any more or just tell about their (too) pretty side on Facebook? She wanted to go personal and left the large venues to play living room shows and connected with the people there. From the stories she heard there, this album slowly grew. Chantal Acda is from Belgium and also plays in the band Isbells from Leuven. Bounce Back is her third solo album after releases in 2013 and 2015. On Bounce Back she ventures through several different musical spheres. 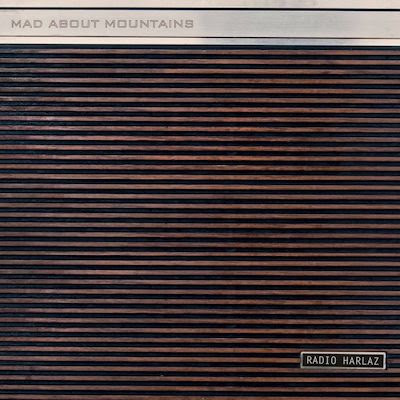 There is a hint at folk, disguised under modern, atmospheric guitar playing and rhythms that are not necessarily straight forward. Another faint hint at pop is given here and there, again disguised behind what I can just as easily call modern classical music. Just like the music .No presents me with on 'Kairos', his radio show on Concertzender with e.g. Nils Frahm, Peter Broderick or Ben Lukas Boysen. Acda does not let herself be caught in a single corner. If there is a common denominator it is that mystery. That fleeting reality and mysterious sounds when surrounded by fog or snow for that matter. All sounds differently, more supernatural. So expect guitars with a lot of reverb and echo, drums that play rhythms that do not necessarily seem a part of the song structure, but something added as an extra instrument, while a piece of percussion keeps the rhythm on track. Chantal Acda singing slowly, with deliberate words that can only be in that place at that point. The kind of music that befits a living room. Soft, modest, but commanding people to listen to the point of being able to hear a pin drop. If her aim is to do more living rooms shows she has the right music for that here. In large venues it will demand more attention than most people are able to summon these days. A live show is the new pub it seems sometimes. A surprise is the intro to 'These Terms', especially after the extremely small song 'Stay'. It's like Rammstein is going to play 'Ohne Dich'. That mood is lifted for, again an extremely small song. An acoustic guitar playing slow chords, some atmospherics in the background, a voice. That mood morphs into something bigger soon, when a busy drum is added and strings enter more prominently with an electric guitar. Acda, the guitar and the drums are the horse, all going on in the background is the fog. I realise that the drums remind me of the role of the drums on Bowie's 'Black Star', almost set free and omnipresent. Variation is a word that is not in abundant supply on Bounce Back. To find it one has to work hard, pay attention and leave outside impulses behind. Anyone not able to do so will not find the cello in 'Our Memories', the intricate guitar playing, the horn section that comes in near the end. Probably only that the mood changes during the outro of the song. The fun of Bounce Back is in the small details. Each song offers some, making Bounce Back an album to truly enjoy in solitude. An album for two: you and the album, preferably on a headset. 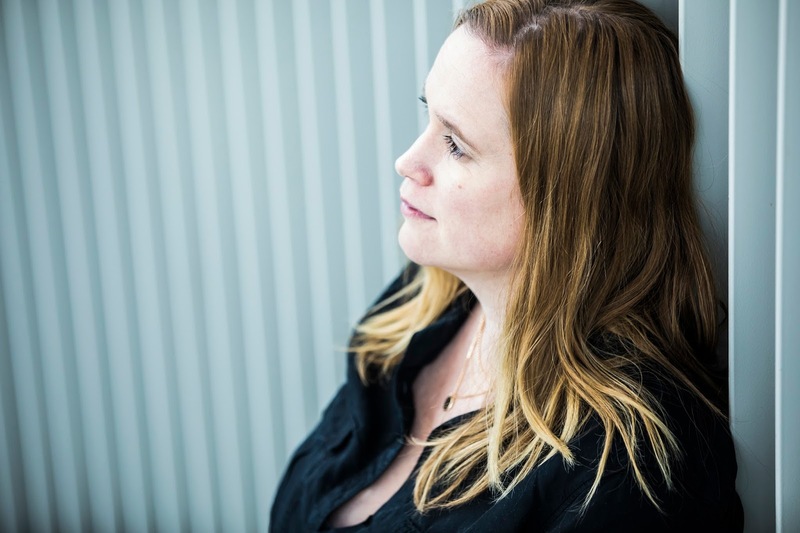 It seems like Chantal Acda has succeeded in her quest for disassociation. Two bands who's last albums I truly like on one bill. That was an offer I couldn't refuse. 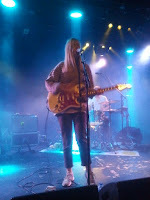 Both Amber Arcades and Moss have featured before on this blog in favourable ways. Although both can be stashed in the corner of alternative, indie rock, the differences are significant. Not only in music, but obviously also in experience and presence. Let's dive in, but not before some starting comments. It is beyond discussion that I like both bands. Their recent albums 'Fading Lines' and 'Strike' are excellent. Both have found their way into my devices without too much effort. Amber Arcades may win out on points as I think its album is just this little more sympathetic. Both are musically beyond reproach with Moss being somewhat more experienced, which shows in the sound and the "tricks" to dress up the song some more. Now lets move on to the show. In English the position I have manoeuvred myself into voluntarily is that of a critic and I'm afraid that it is this role I have to play where Amber Arcades is concerned. There is no nice way to go about it. And it shouldn't as what I'm writing is well meant. Annelotte de Graaf's presentation leaves a lot to be desired and the fact that she is surrounded by hired hands clearly does not help her. To entertain is hard. It is hard work and takes effort. When all was sung and played I could not escape the feeling that she'd rather be anywhere else than on this stage and was glad to be able to leave it when the show was over. To communicate with the audience is a way to interact and win it over. So make sure that it can understand what you're saying. I had the impression that the interaction does not come completely naturally. That makes it doubly necessary for me to hear what is said to be able to sympathise. And finally the eye needs a little something as well. I'm not implying the Katy Perry, Rihanna kind of dress-up, but a little more stylish clothes would be welcome. It adds to the picture. Musically there was a contrast as Annelotte de Graaf played her songs extremely confident. Her songs are her strength and it showed. There's no hesitation nor feeling uncomfortable on this front. The band played competently, but somewhat detached. Enough to make the songs come alive. If Amber Arcades is able to translate that inner musical strength into a little more outward podium presence, there's nothing to worry about. The songs are great and the new material that was played literally provided the show with an extra dimension. That new EP, announced for 2 June, is going to be something to look out for. Conclusion for now: the benefit of the doubt. A next time will have to be better. Moss took over the stage, putting everything in place itself and started to blast away. Here there was only confidence, several band members with a podium presence and songs that were taken far beyond the studio version, if so wished. 15 Years of experience showed easily. I think I could more or less point to my previous review of a Moss show, late 2014 if I'm correct, and take the easy way out. Of course there were a lot of new songs, who held up great in the setlist. There was a lot of talking, this was a home show with lots of friends in the room and a lot of tuning the guitars. That never took anything away from the pace of the show, that knew an emotional moment when 'Strike' was announced. Guitar effects were all over the place and that 70s synth sound reminded me of everything between Tubeway Army and Fischer-Z. Oh, fine memories of my youth translated into great 2017 music. Because that it is. Nothing to be ashamed of where Dutch bands are concerned these days. It has never been this good and Moss is a proud member of that indie rock ship that ought to conquer the world like the V.O.C. once did. What Moss excels in, besides playing some great songs, is the use of dynamics. Within the show as a whole, but also within songs. Sonic storms can follow quiet moments and all played with extreme confidence. No holding back followed by extreme restraint. And then came 'She's Got A Secret'. The song to end all songs. Moss has not written a more powerful song that this one. With bleeding ears I left the Tolhuistuin, with a new vinyl and a new cd under my arm, receiving apps about 020 going to the semi-final. Congratulations, well-meant to, but you know what to do just about now! 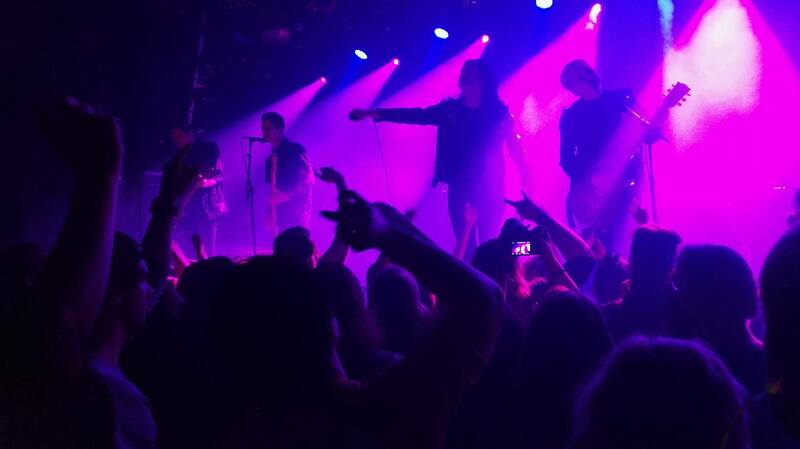 For their last concert of their tour, 'horror punk' band Creeper gave a show in the Melkweg in Amsterdam on the 15th of April. They clearly are not afraid to make a lot of noise, their front singer, Will Gould, clearly is not afraid to scream, the bass guitar and the guitar can be very present, and the drummer is not afraid to hurt his drum kit. However, neither are they afraid to produce some excellent melodies. The 'noise' is used to stress bits and parts of the songs, in between it never exceeds levels we are not accustomed to through Green Day. This means you never lose out on the excellent voice of the front and second singers, more subtle guitar riffs, and the support of the bass. Together the 'noise' and the melody do allow you to lose yourself , though, while dancing and jumping. Many of the songs were great to sing along with, which added much to the atmosphere. Yet, while some parts of the songs are great sing-alongs, the music is not 'simple', rhythms constantly change, different instruments take precedence in different parts of songs, and several melodies are interwoven in the songs at times. The temporization of the concert was excellent too, with some slower songs to allow you to catch your breath. For instance, Hannah Greenwood, the keyboard player, did an excellent duet with guitarist Ian Miles. 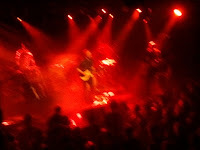 Although the crowd was not extremely large, the Oude Zaal of the Melkweg was not packed, of the people who were there a large share could sing along with most of their songs. There also was a quite acceptable circle pit, edged on by the band. The band was clearly very happy to play for us, which also appeared from their interaction with the public, helping crowd surfers on the stage and even letting one guy sing along with one of the songs. 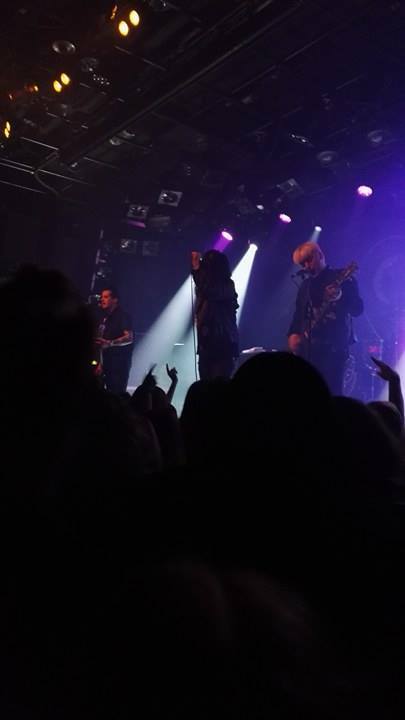 All in all it was an excellent concert, by a band which could become very big, if they manage to write more songs as good as their best ones so far, like Black Rain, Suzanne, Misery and Down Below. Dertig jaar Hallo Venray wordt gevierd met een nieuwe, veertiende, cd en een clubtour. Na het teleurstellende 'No Show' (2014) is het nu veel fijner rapporteren over de creatieve output van Henk Koorn, Peter Konings en Henk Jonkers. 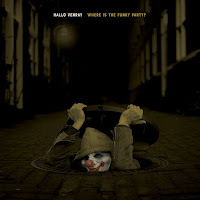 Where Is The Funky Party is gewoon goed, lekker fel, met veel uptempo nummers, psychedelisch elementen en melancholische zangpartijen. Het begint al goed, met de opening 'Funky Party'. Veel trommel en galm begeleiden de felle gitaar. Tekstueel stelt het niet veel voor, zoals dat bij meerdere nummers het geval is. Het lekkerste nummer is 'Blood', heerlijke punkrock, opwindend, vrolijk en opruiend. Echt een feestje. 'Oh, you’re not bad' zet die lijn door, hoewel een tempootje lager. In deze song is het gitaarwerk goed afwisselend en stevig aanwezig. Met 'Drink' ("I don’t drink as much as you do", is de terugkerende tekstuele lijn) gaat het gewoon op hetzelfde hoge niveau door. Het meest opwindende nummer, ook het kortst met 1 minuut 31, is 'Sticking', waarbij het moeilijk stilzitten is. Hallo Venray op zijn best. Dit wordt gevolgd door 'Ball', dat een heerlijk donkere ondertoon van de bas en drums heeft bij een aanstekelijke partij op de leadgitaar. 'Supermarket' is ook weer een kortje (1:42), maar heftig en intens. Het slot valt tegen. 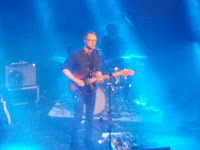 Wellicht niet toevallig zijn het ook de langste nummers, alle drie ('Stories', 'Different Kind of Air', 'Look Outside') met ellenlange instrumentale stukken. Op zijn best doet het denken aan de instrumentele delen van nummers van The Cure uit de vroege jaren tachtig. Vaker is het gewoon een beetje saai en een tikkie te psychedelisch en monotoon. Maar dit mag de pret niet drukken. 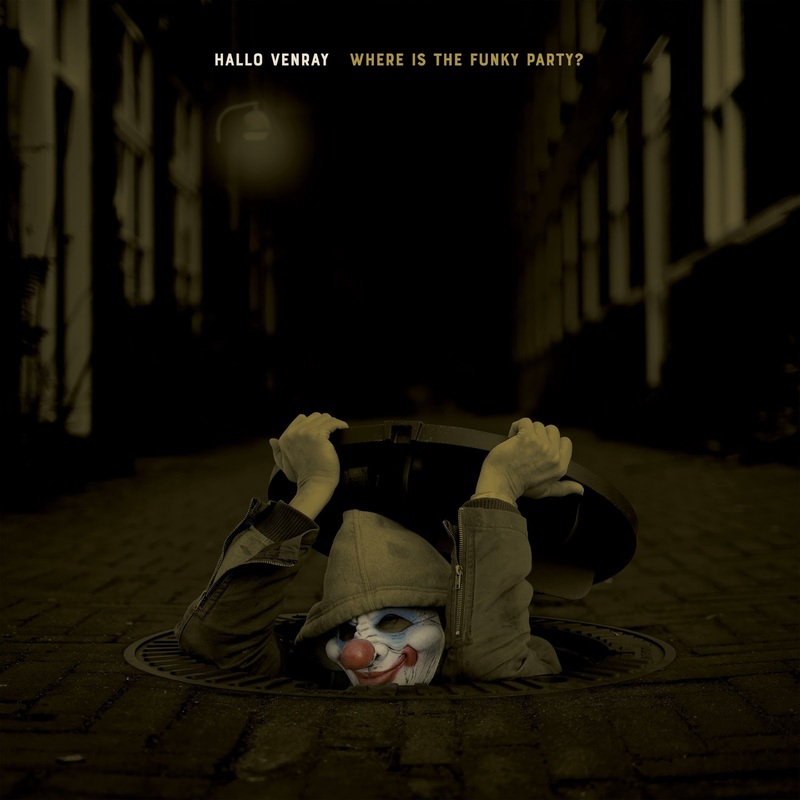 Hallo Venray heeft een lekker album afgeleverd, met meer dan voldoende meeslepende en opwindende nummers. Het luisteren, en zien, meer dan waard. Oh, wow! A vision of "Neil" enters my head and simply won't go away. Oh, wow!!! is what I think having listened to Death Song, The Black Angels' latest album. It's so good, I almost don't believe my ears. After the final notes of that great final track, 'Life Song', faded away, I'm left behind orphaned, alone, bereft. The only way around that desolate feeling is to put the record back on. And again. 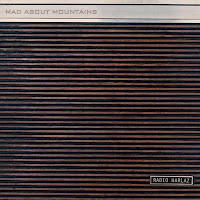 It's been a while since a record had this great an impact on me and at that by a band that I'd nearly forgotten about. In 2010 I discovered the band with its album 'Phosphene' that included great songs like 'Yellow Elevator'. 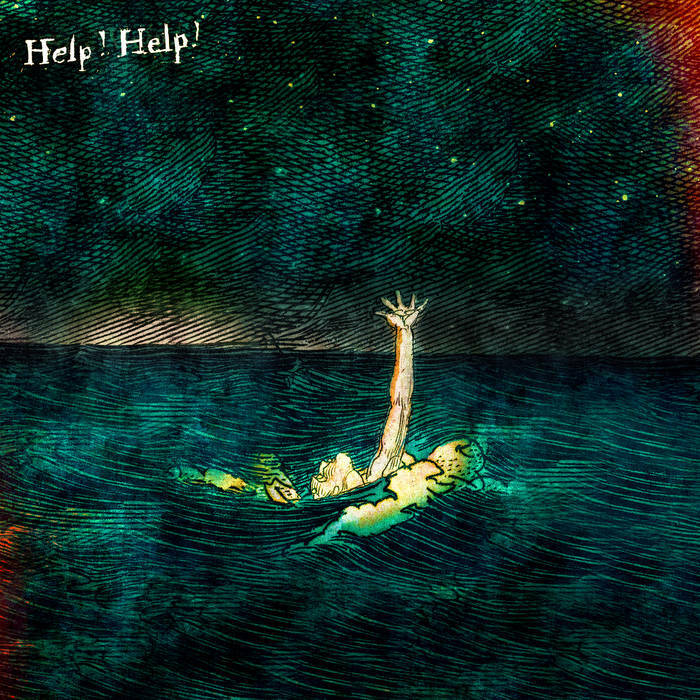 The follow up album, 'Indigo Meadow' (2013), disappointed me and after that I lost track of the band. In fact I just found out that Death Song is the band's first full-length release since 2013. The four year hiatus has done the band a lot of good, musically. Death Song is a like a dirty rag. Too dirty to use again, so dirty that it seems dangerous even to pick up from the floor. Just listen to 'Currency', the opening song. A dirty sound, a cluttered mix and singer Alex Maas singing, not unlike German singer and actress Nico, but so much more supple. Maas can sing, in his own mysterious way. In fact, if I hadn't seen the photographs, I would have sworn there is a lady singing on this album. Around him the guitars are distorted and fuzzed in all sorts of ways in order to create a fuzzy, psychedelic world. A world where nothing is what it seems. Actually, the only thing that is concrete are the drums. Stephanie Bailey is as solid as the rock of Gibraltar. Hopefully not as contended. 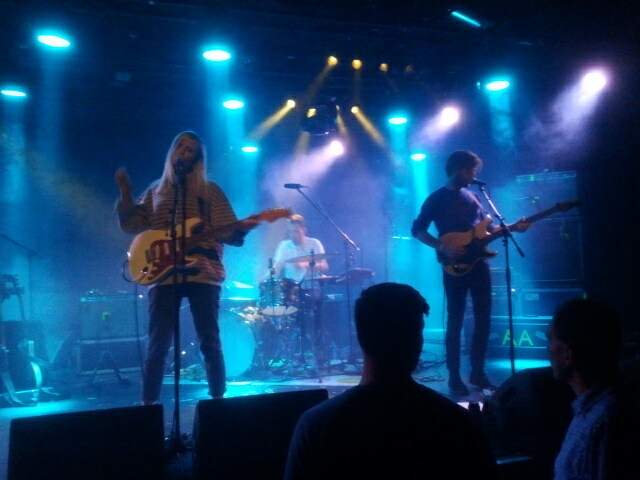 The drums sound surprisingly bright, with clear sounding cymbals, like a lighthouse in the storm and rain. With Death Song The Black Angels sort of have come full circle. The band started in 2004 in Austin, Texas and took its name from The Velvet Underground's song 'The Black Angel's Death Song'. With the album title the ultimate tip of the hat has been given to the legendary band from the second half of the 60s. The music is more hippie than The Velvet Underground ever was. Much more psychedelic. Where the bands meet is in the darkness. The Black Angels move around in darkness. It may allow colours, see the album cover, but they are so muddled that it is impossible to give it the moniker colourful. With the sound another interesting feature of Death Song is mentioned. The band obviously enjoys searching for extreme guitar sounds. Underneath completely normal sounding guitars can be heard, until they are taken over by extreme overdubs, sweeping the structure of a song from its feet and taking it in other directions. Sonic adventures to follow with red ears. The darkness is joined by a portion mystery. In part in the voice of singer Alex Maas. Yet that is not all. 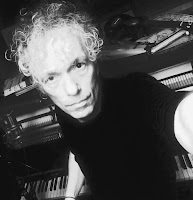 It is in the windswept guitar sprawls that are all over a song or the keyboards that envelop a song almost to obfuscate what is going on in a song. The directness of a song like 'Hunt Me Down' is a fine contrast to the meandering 'Comanche Moon'. One of the most beautiful moments on the album is when in, the fairly traditional sounding, 'Estimate' the keyboard joins, leaves, a second voice enters and the keyboard comes back. This is what true inspiration sounds like to me. It's not more than two notes and that is all it takes in this context. At the same time completely normal little 60s sounding guitar licks can be heard, where nothing wild and exciting is going on. All adding to the perfect balance of Death Song. The pièce de résistance is kept for the end. Believe it or not, this dirge is called 'Life Song'. It is all about dying in a vast expanse. The keyboard sound, I suppose a Mellotron, is superb, the tempo dragging along, always halted by the lingering Mellotron. The voice full of resignation and despair. There's nothing left to save here. Over the past months I have tipped a few songs as future top songs for the Top 2000. And here I am always "complaining" that "they" don't make songs like 'Just A Little Bit Of Peace In My Heart', 'Eloise' or 'Stairway To Heaven' any more. Well people, I have news for you, 'Life Song' is such a song. Though certainly more one dimensional, it is monumental. The best song Earth & Fire never recorded. "I'm dying, I'm dying", Alex Maas sings and I'm believing every word. This is the voice of someone looking death straight into the eyes. Luckily, knowing my Pratchett, Death can be pretty funny in those dying seconds before the soul says 'pop', with a last, small twinkle. There's hope yet. Since a few weeks Bry is spinning around in my cd player. The enthusiasm and positive energy oozing out of the speakers is simply too much to resist. The music of Bry makes the sun shine at those moments I need a little extra. The album finally has its official release in The Netherlands. In Bry's homecountry Ireland, those interested were able to enjoy his music all through the fall and winter. For me Bry, or Brian O'Reilly as he is known formally to the world, is a totally new name. For those who dwell on YouTube more than I do, he could be a household name. Bry was prone to travel around the world by the country. His goal is to perform in all countries and organised his trips and playing through social media, making an ever bigger name for himself. According to Wikipedia he is at 65 and rising. It seems the small time travelling days are sort of over. Recently he supported Twenty One Pilots at their latest European tour playing in large venues. The kind of stepping stone one needs to go on one's own headlining tour. Back to the Bry, the album. 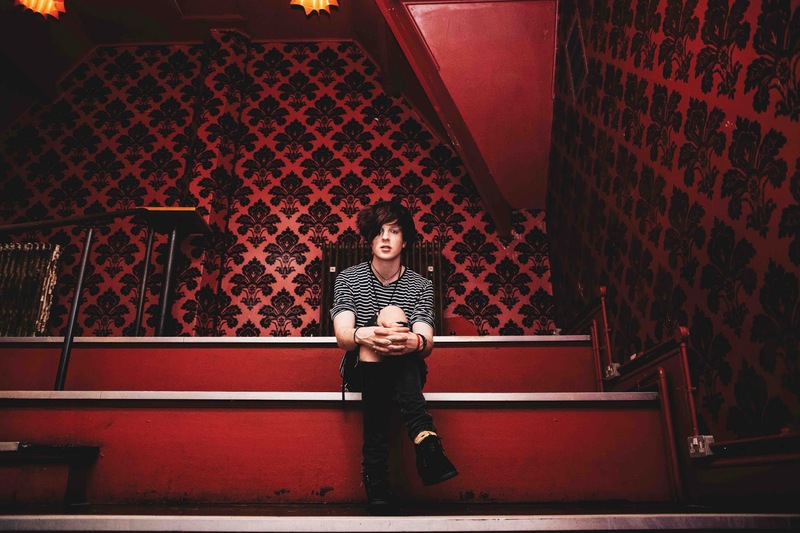 Together with songwriter/producer Greg Wells, who worked with nearly all the great artists of the 00s and 10s, Bry has made a very clear sounding album. His guitar and voice are at the basis of what Wells built (and played) around him to bolster the songs and give them a more commercial feel. No matter the work of Wells, if the songs are no good, no bolstering will save them. Right from the beginning 'Bry' captures me. 'Disarm' within seconds brought me into The Proclaimers territory, the Scottish twins with that infectious hit 'Letter From America'. The next thing coming to mind was The Decemberists. Colin Maloy seems to present here in the chorus. Bry knows how to capture the sound of The Decemberists and give it just this little extra in the form of a poppy element that is injected through the (synths playing at?) violins. 'Disarm' is the kind of song that grabs the listener by the ears and makes him pay attention. With sympathetic ears I set myself comfortably for the rest of the album. Nearly all the songs on Bry have been given this little extra. Something that makes them stand out. A piano that enters the solid wall of music or another keyboard sound. With this wall that Greg built, Bry leaves his street and park playing days behind him. How he may have sounded can e.g. be heard in the intro of 'Your Life Over Mine'. Just an acoustic guitar and Bry's voice. After that Greg Wells takes over. There is no way that Bry can reproduce any of this on stage on his own. So there's an existential choice for him to make over who to be live. The singer-songwriter is mostly well-hidden away with an appearance at the right moment. Bry is able to impress when things are kept small as well. 'Adventure Time' largely consists of voice, guitar and sparse piano chords. His charming Irish accent carries the song fully and successfully. The pleasant way Bry sings is a large part of the reason I like 'Bry'. It's easy to try and compare Bry to the likes of Ed Sheeran, but as I already pointed out I'm reminded more of other acts. The Lumineers come to mind as well, but also a few boy bands. The sound in some songs moves dangerously close to their prefab sounds. Again it is the less polished voice, sounding so optimistically glad of being able to sing these songs, in combination with the more serious songs and an occasional rock outing that give 'Bry' the right mix to be digested fully, completely. Here I've given you the secret of 'Bry''s success. 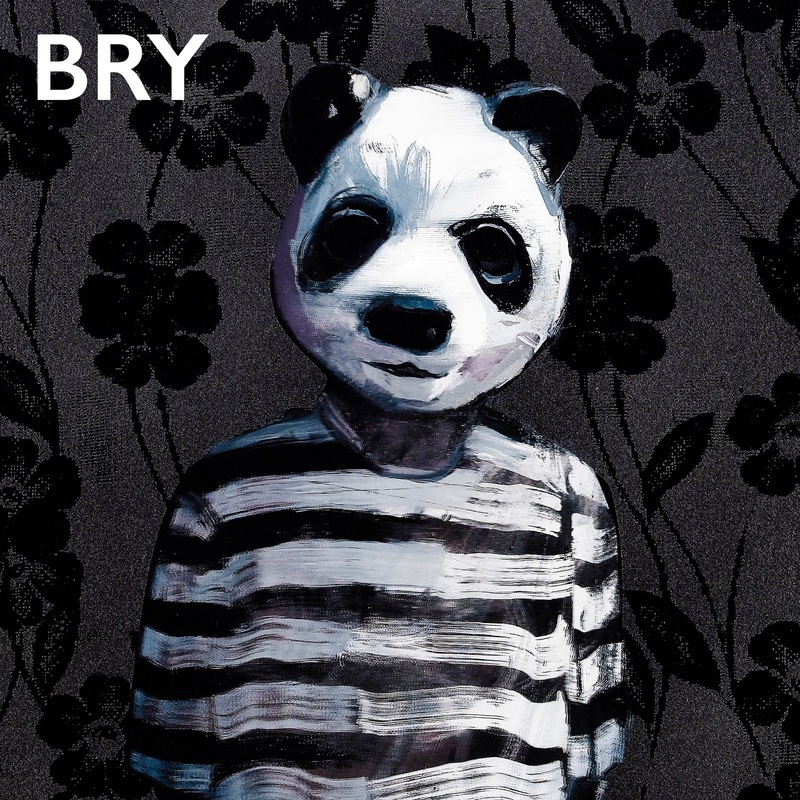 The album presents the best of a few worlds, making 'Bry' an album to brighten up your day in the appropriate moments and to be enjoyed on any other moment. Something else ought to receive credit to. With the two pandas underway from China to the zoo in Rhenen the day I am writing this review, the cover of Bry's album could not be more appropriate. On its own it is a beautiful piece of art by Charming Baker, that Bry can be proud of to be able to sport on his record. 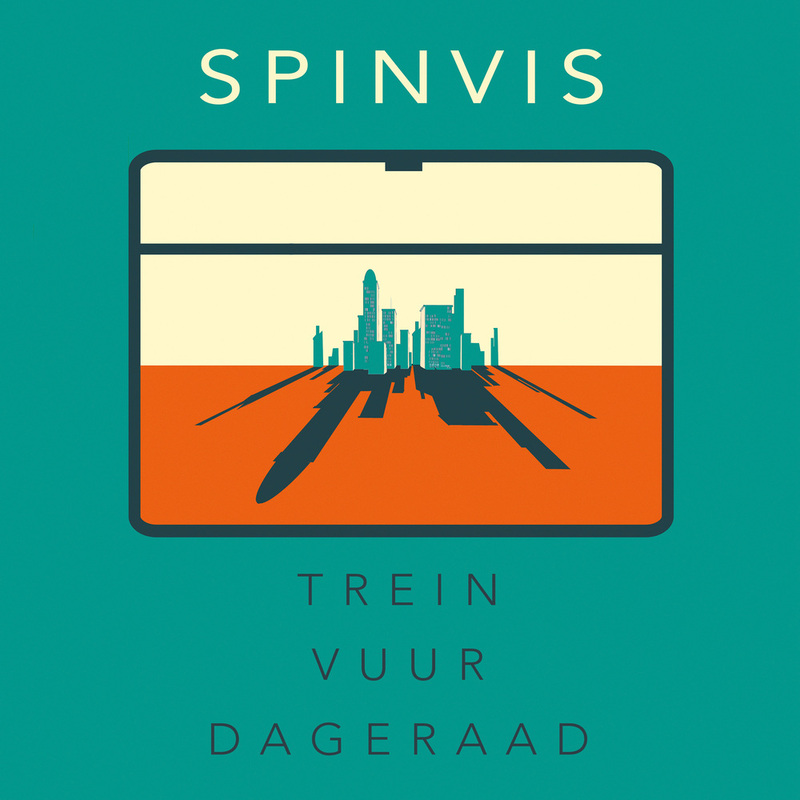 Een nieuwe Spinvis? Mwah. Daar zat ik niet echt op te wachten. In 2012, in de begindagen van dit blog gaf ik 'Tot Ziens, Justine Keller' een kans, maar dat werd geen onverdeeld succes. Trein Vuur Dageraad bleef dan ook op de stapel liggen. Een gegeven paard in de bek kijken is nooit de bedoeling, maar in dit geval heb ik dat toch gedaan en lees. Wat maakt dit album dan zo veel anders? Niet eens zo heel veel, lijkt het. De lijzige spraakzang van Erik de Jong is niet veranderd en is iets waar ik echt overheen moet stappen. Die stem is heel bepalend voor het geluid van Spinvis. In een aantal nummers lukt dat vrij goed. Dat is eigenlijk voor het eerst. Het feit dat ik bij het tiende nummer 'Alles Is' nog steeds aanwezig ben, zegt eigenlijk alles. Nu kan het ook gewenning zijn, na een hiaat van ongeveer vijf jaar zonder Spinvis door te hebben gebracht, maar er is meer aan de hand. Voor mijn gevoel bestaat Trein Vuur Dageraad uit iets meer traditionale liedjes. Liedjes die mij aanspreken en laten luisteren. Vooralsnog is het een passieve vorm van luisteren. Ik heb mij nog niet op participatie kunnen betrappen, maar dat moment hoeft niet ver weg te zijn. Zo nu en dan schiet mij de naam Boudewijn de Groot te binnen en bij een flink aantal van zijn nummers kan ik mij zelden beheersen om niet actief bij te dragen aan zijn songs. Nu kan het zijn dat Spinvis niet het doel heeft mij mee te laten doen en mij wil veroveren door mij stil te laten zijn en te laten luisteren. Zo ja, missie geslaagd. 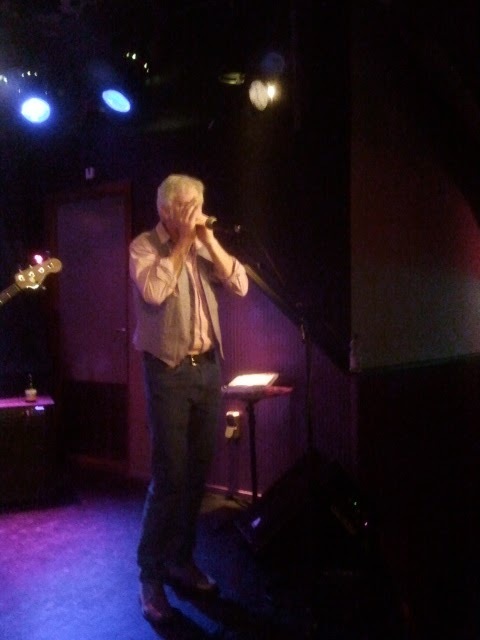 Zoals in de titelsong. Klein, bescheiden, maar steeds een klein beetje brutaler. Stop er nog een viool bij, een tweede stem (met een tegenmelodie) en langzaam komt uit een fraaie rups een prachtige vlinder tevoorschijn. Uiteindelijk is het een song die Coldplay al 12 jaar niet meer weet te maken. Een song die niet alleen imposant is, maar die ook interessant is en raakt. Zie daar hoe ver mijn Spinvis aversie is geweken. Niet alle liedjes komen zo ver als 'Trein Vuur Dageraad'. (Top 2000 werk als de radio het komend jaar genoeg speelt.) Er zijn ook "gewone" songs bij, maar ik heb er niet een gehoord die ik wil afzetten voordat hij over is. "I put an EP out to get some metal out of my system" the email Tim Claridge sent me said. O.K., metal usually means I take cover and hide until the storm is over. And so how come, I notice you asking yourself, is this guy writing right now? That answer is so simple: This is Tim Claridge, people. One of the most talented, unsigned songwriters on this planet, as always accompanied by one of the best female singer/songwriters I know who is unsigned, Natalie Ramsay -together with Elenne May and Morgan Macaskey. Go look them up. So with this man I even get through his loudest song on the EP, 'Winter Is Coming'. The song that challenges everything head on, amp on 10 and guitars, loud guitars, all over the place. Every Place In Hell Is Special. Now I never got through Dante but know enough of the nine levels that each level must be special in its own way. So the title makes sense in that way. Next to that, no album without a devil reference with Tim Claridge. The shortest route to hell is by following the quote the EP starts out with. I thought I recognised the voice and definitely saw the movie a few times. Long, but fantastic. Yes, that is Clint E. By the way, the man whistling in Ennio Morricone's soundtracks, Alessandro Alessandroni, died this week (while writing, Wo.). Every Place In Hell Is Special is a special EP. 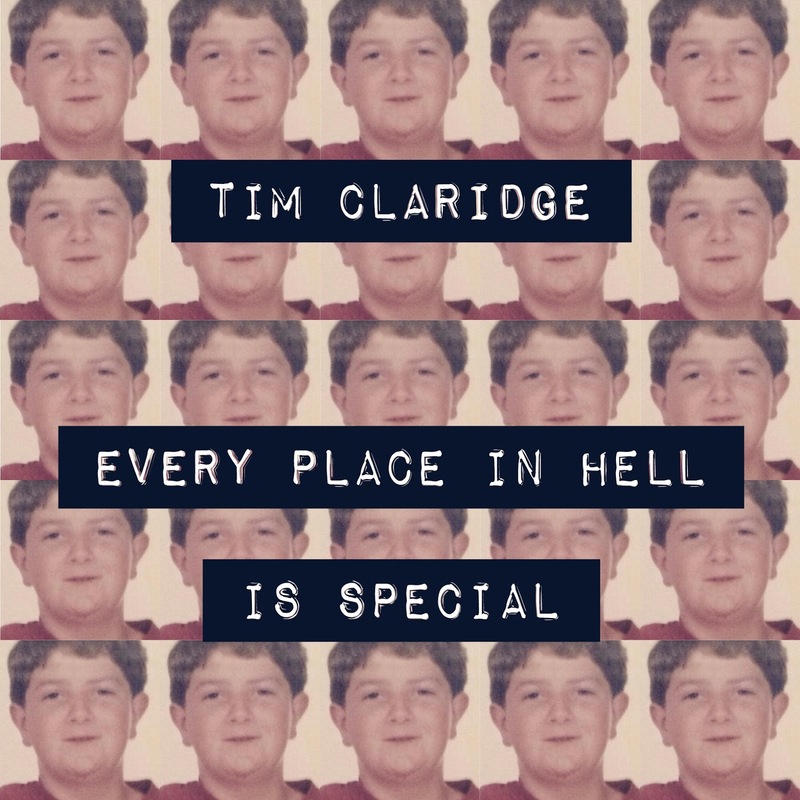 Tim Claridge does not stick to one sort of music exactly. After the film quote an acoustic guitar played instrumental unfolds. An intricately thought out and built up arrangement is played. With more and more guitars and other things with strings are added playing either the same or totally different parts. In fact, this could have been in a Morricone spaghetti western soundtrack. Metal? Nowhere in sight for miles and miles. 'The Fifth Horseman' is closer to a madrigal from the Middle Ages than Metallica. Things come to those who wait. 'Starving Con Artist' starts with an acoustic guitar also, but not for long. All hell breaks loose soon. I am introduced to Mike Hannay, (of Anciients) who is drumming like there's no tomorrow. Complimenting and driving Tim Claridge's wall of guitars. We are in Muse territory here. That might have been a problem, were it not that this song is great. A cello, violin and flute are added and an acoustic guitar, again. Showing the guitarist craftmanship of Claridge no little. The stark contrast within the song makes it breath and special. The third song is more pop and blues oriented. 'Every Place In Hell' is another song where the basis is an acoustic guitar. Spanish guitar playing, fingers flying over the fretboard. Natalie Ramsay is there supporting the vocals as on the rest of the record. For a place that scares so many people, hell, this song has such a dreamy quality. It's too bad that a great, recent Dutch novel may never be translated into English. 'Harpij' is a great story about hell. So good that it's so easy to believe it is real. In the not-Hell parts of the book this song would fit just right. The real storm Tim Claridge has left for last. His fingers are torturing the snares and frets of his guitar. In the long intro he gives it his all. Speed, accuracy, melody, variety, rhythm. It is, at least for a while, more a study in metal than a real song. All sorts of techniques come by, all supported by, again, some fierce drumming. And when after four minutes Natalie and Tim start singing together I am so ready for it. Listening to Natalie Ramsay's own music I ought to be surprised that she's singing here, but am beyond that for some time. Another and yet another guitar is added to the wall of sound. So huge it's easy to imagine smashing a car into it. 'Winter Is Coming' is huge, even on the first spring days of the year of our Lord 2017. Every Place In Hell Is Special is a bit of a hodgepodge. Yet all songs have the quality I've come to expect from this artist. If this is just an in between EP I have to admit that I can't wait to hear the real thing. Lay it on me soon, Tim! 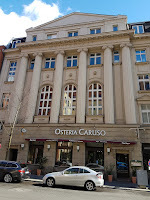 On 20 March Wo. received an e-mail from Mark with the title "Focus switches to Berlin". What about Focus and Berlin, I thought, still thinking that we were discussing Dutch progrockers Focus,as published recently on this blog. Instead the discussion focused on Bowie's Berlin period and a tour Mark went on when visiting the German capitol. All the Berlin pictures were made by Mark Carvell. 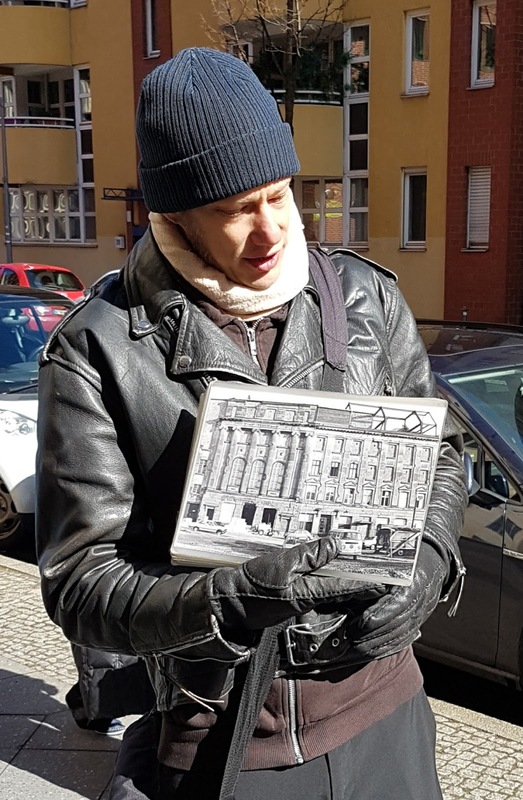 I had some spare time in Berlin on Saturday after attending a G20 digital economy conference the previous day and decided to join a Bowie walking tour. The German guy explaining things was very expert so I learnt a lot in particular how Bowie ended up in Berlin rather than Dusseldorf which was the main centre of German electronic music (Kraftwerk, Neu! etc). Berlin was important for youth culture and avoiding military service but it was not where it was happening musically - so Berlin was a surprising choice to live and record actually. But Berlin is uniquely Berlin - and Bowie enjoyed the low profile there and got his life back on track after his years in LA when despite all the fame and world tours, he was pretty much broke on coke. 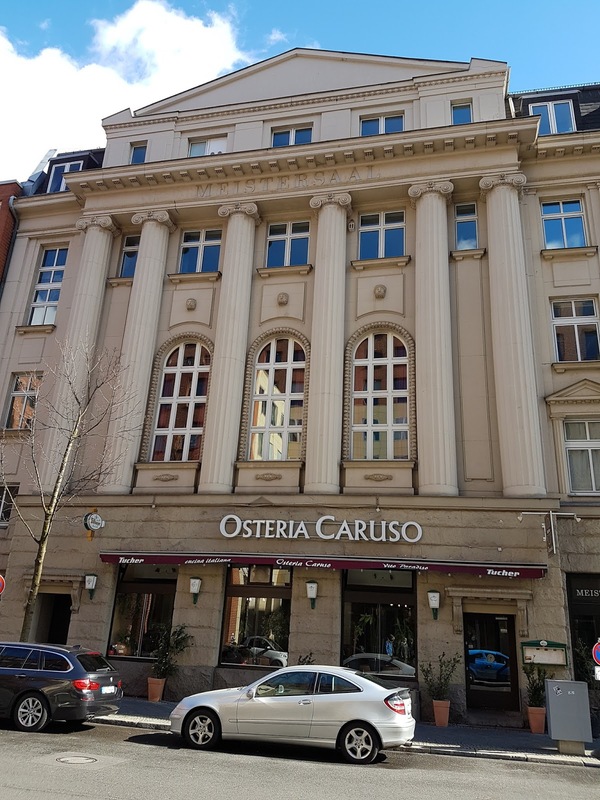 First main spot on the walking tour were the Hansa studios which are near the glitzy redeveloped Potzdamerplatz - a couple of my photos attached. The guide is holding a photo of how the studios looked in mid-70s when the neighbourhood was a wasteland right on the Cold War front line of the Wall. 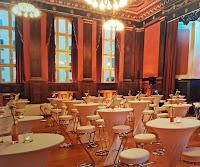 We were only able to go into the ground floor lobby of the studio so I did not go up the stairs to the "Meistersaal" which is a big old dining hall behind the large Greek columns facade in the photo where the "Heroes" track was actually played and recorded, making maximum use of the hall's excellent acoustics. 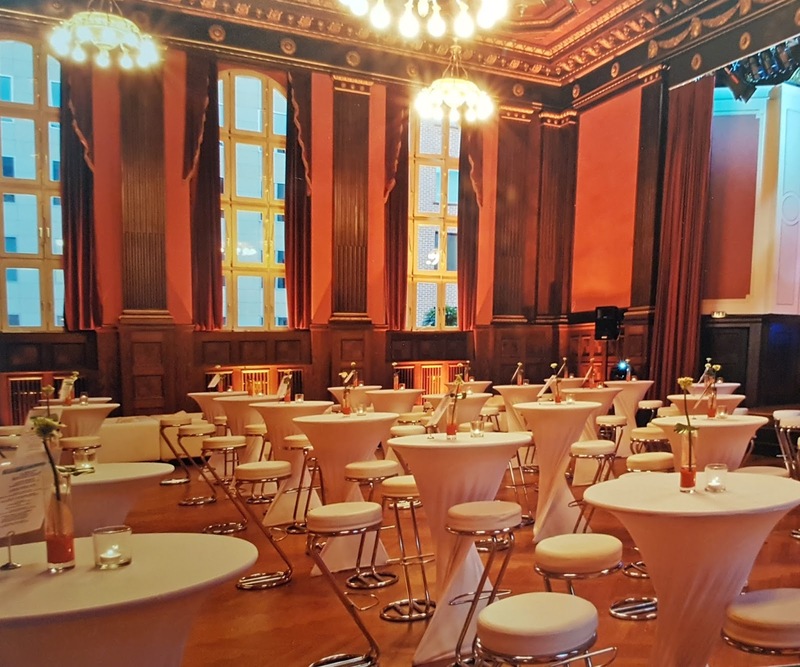 My photo of the Meistersaal interior is a photo of a photo in a downstairs display panel: the room is used mainly for dinner events now - but with working recording studios still in use in the nearby rooms. There is a separate tour of the inside of the studios but that was not available in the time I had - have to do that next time! 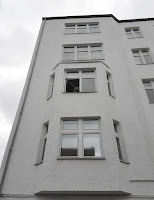 - http://musictours-berlin.com/bowie-berlin-walk and https://www.theguardian.com/music/2013/jan/13/bowie-berlin-sturm-drang-wall (Thilo Schmied is the guy I got in touch with to enquire about visiting Hansa Studios). Iggy Pop also recorded here, and U2: the first sessions for Achtung Baby (which did not go well - band was trying to find its way again). The guy leaning out of the back window in the photo is looking towards where the watchtower with the guards was as in the Heroes lyric - but it is all redeveloped now with office blocks etc so you have to imagine it. The guy was actually telling us to halt die Klappe because they were recording! Still a special spot in the history of music though! 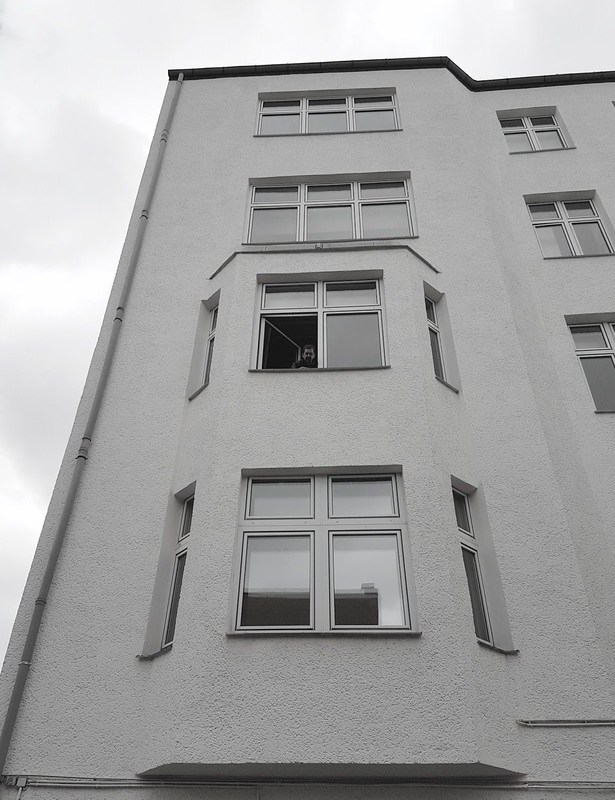 Unfortunately I ran out of time to get my flight home so I had to drop out of the last part of the tour which was to take the U-bahn to Bowie's apartment in Schöneberg district; not much to see there apparently but there is a plaque: https://www.theguardian.com/music/2016/aug/22/david-bowie-berlin-plaque-commemorates-singers-time-in-city - and the local clubs and bars where he would hang out. I might do that on my next G20 trip! I wasn't a glam fan or big on Ziggy but have most of Bowie's records starting with Station to Station - including a German language version of Heroes: "Helden". The Berlin guide said that so bad is Bowie's pronunciation it is difficult for a native speaker to understand what he is singing! He also did a French language version - again mainly to promote the album (as The Beatles did with "Komm Gib Mir Deine Hand") . Bowie's lifestyle stabilised in Berlin and he cleaned up on his drug addictions: Low and Heroes made him rich again and he left his non-descript Berlin apartment in 1978 to resume world tours and a more fashionable lifestyle in New York. Thanks, Mark. If you allow me, I'd like to publish this. The sort of nice addition to what is usually on the blog. Have you seen the Bowie work in progress? All the rarities, covers, cover version, tv shows, etc are being listed. You find it on 8 January 2017 and is expanded every month. This is a very interesting account. I must say I am more of a fan of early Bowie’s work up to the Diamond Dogs era, and while I would agree that he remained innovative up to the end his work did not chime so much for me (with the odd exception). I thought his work with Eno and Fripp was very good but maybe just a little too ‘fashionable’ for me (something you would probably agree I never was!). Still Bowie’s music and spirit was/is always a part of me, I grew up listening to his epic works that told me you are young and free…. “Let the children boogie”…. A friend of mine is a complete Bowie nut and will be interested to check that list - for accuracy! Sounds like someone who ought to get along with my cousin who is our family Bowie nut and is the editor of the 8 January contribution. (The date is no coincidence.) She put me onto Bowie in the mid 70s for real, but where I just like the guy's music, she has to know and have everything. I'll respond to your Bowie e-mail tomorrow and then we go online early April. Yes Bowie's Berlin albums must have seemed quite radical and eclectic, mixing songs with short, sometimes doomy or intense instrumentals - influenced by the German electronic bands. You are the only Faust fan I know. RCA must have thought their biggest star was taking huge risks with his global fan base but - unlike Geffen who sued Neil Young for going electronic - they stuck by him. I was given "Heroes" for my 22nd birthday while living in Rotterdam and I thought "wow this is the future!" But then I also noticed my usual record shop suddenly adding a special "new wave" section to their singles rack and Bowie suddenly seemed out of it - literally. The German electronic bands must have been caught off guard too I guess. Kraftwerk hung in there with those short catchy songs and robots. Some new German bands appeared on the scene: it was a struggle to spell Einstürzende Neubauten after taping them off a John Peel programme and needing to list it on the C90 inlay card! They were from Berlin by the way - so by the 1980s after Bowie and Iggy Pop had left, something was happening in the city. 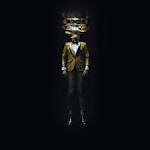 For me Bowie is someone who has nearly always been in my musical awareness. When I was 9 he scored his first hit with 'Space Oddity', a song I just loved and still do. Things went silent for a few years, but I did not forget him. 'John, I'm Only Dancing' e.g. did nothing over here, but is a part of my singles collection since 1972. From 1973 he featured regularly in the singles charts, so I heard all his singles. One of the first albums I bought was 'David Live' in 1976 which brought me somewhat up to speed on all the albums I'd missed. In 1976 I went to my first rock show in Rotterdam: David Bowie in Ahoy, just after the 'Station To Station' release. That became my second Bowie album and is still my favourite to this day. 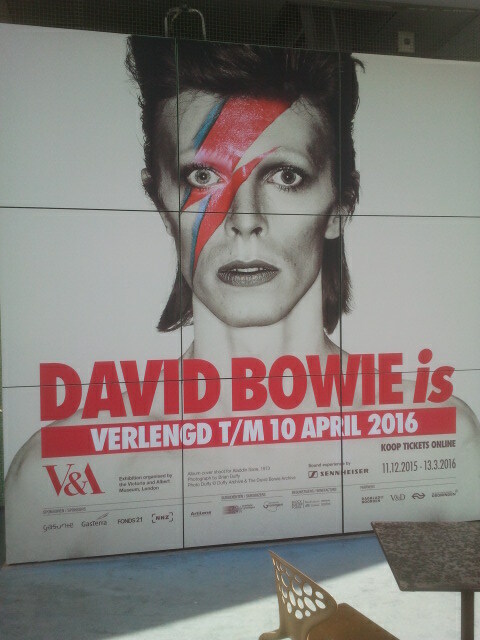 In 1978 I saw him again in Rotterdam, a fantastic show with loads of 'Ziggy Stardust' songs in there. His move to Berlin did not go unnoticed, but there was not much that prepared me for some of the music I was hearing in 1978 when I bought both 'Low' and 'Heroes'. I loved the singles. Both 'Sound And Vision' and 'Heroes' are fabulous songs right up to today. So powerful, playful and visionary. 'Low' of course is a sort of hybrid where Bowie both presented fantastic songs and made his move towards (electronic) instrumentals. 'Heroes' is the end station of that development with songs I still do not care a lot about. I followed Bowie up to 'Let's Dance', the third time I saw him live in 1983, now in stadium form. After that he still had a few great singles, but the albums just were not up to par. Btw, his biggest hits, the #1s here are nearly all collaborations, with Queen, Jagger, Tina, Pat Metheny. How is that in the U.K.? Let's Dance is his only solo #1. For me his albums remained average, at best, until early 2016. Reading the review I thought this is just another of his experiments that will be slightly disappointing. I bought the album on the day of release any way, on a whim. Something urged me to do so. Don't ask for an explanation. 'Black Star' simply blew me away. One of his best albums and one of the best albums ever made. It remained on repeat the whole weekend and then came that Monday morning. What went before did not stop me to go see him twice more in 1990 and 2002, again in Rotterdam. The last time, the 'Reality' tour, was somewhat disappointing. He played too many songs from those average albums. I'd decided that I'd seen him enough, not knowing that it would be the last time as I skipped the ArenA show, days before his final show. The Bowie exhibition last year in Groningen was something I went to not expecting much. It was only then that I understood more of the impact the man had on art, music, style, fashion. Things that I had missed, being too young at the time and totally uninterested in everything not having to do with the music. It was then that I understood how he modelled everything for himself, had total control over all things Bowie, from the very early stages of his career when nobody had ever heard of David Bowie as he still worked as Davy Jones at 16, 17. The man saved everything. Nearly all artefacts came from his own collection. Next to the music that was everywhere as I walked around in my own cocoon, headset on and all. Emerged in Bowie. Life can be worse. Thanks for the tip on the Bowie tour, Mark. Next time I'm in Berlin I will certainly take it. You are filling my travel itinerary somehow. John, I'm Only Dancing was an a-side single here with Hang On To Yourself as a b-side. I also have a 45 released later in the 70s with the version of the Young Americans sessions. I think that was released in 1979 or 80. What was it the b-side of in the UK? The B-side was the same here "Hang onto yourself". I read that it has been suggested that Bowie wrote the song in response to a derogatory comment made by John Lennon about Bowie's cross-dressing or that it is gay/bi relationship excuse for dancing with a girl. I had no idea at the time as I assumed it was a self-protective narrative between friends where 'Bowie' is assuring his friend that he is not moving onto the girlfriend but "only dancing", something I would have identified with at the time... oh!... obviously I was so innocent then... this would have never occurred to me at the time! Same here, Gary. By the time my English was good enough to follow the lyrics, that's what I made of it. Bowie standing in front of a big guy about to beat him up. Something like that. Come to think of it. The last part of the song does sound a bit like he's making fun of this John. No matter what is truth here, they were or were soon to become great friends, I think, with Lennon working with Bowie on 'Across The Universe' and co-writing 'Fame', during those covered by white powder months in L.A.